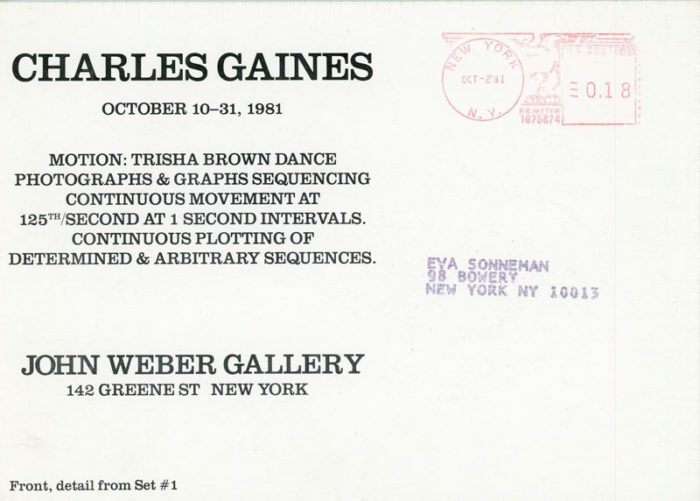 Postcard for Charles Gaines’ exhibition at the John Weber Gallery, 1981. 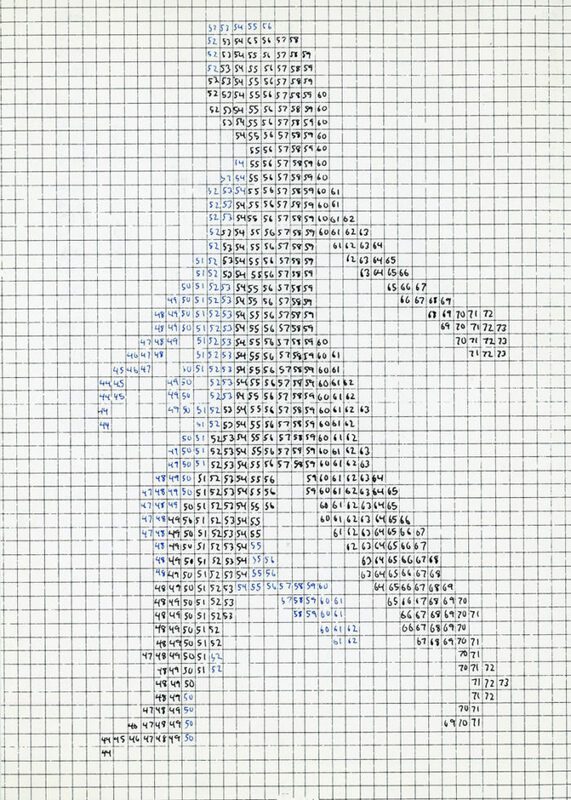 The series was called Motion: Trisha Brown Dance Photographs & Graphs Sequencing Continuous Movement at 125th/Second at 1 Second Intervals. Continuous Plotting of Determined & Arbitrary Sequences. Front of card features a detail from Set #1.